Have you heard our latest news? For the past six years, the company has worked in collaboration with APARTUR’s Solidarity Check In scheme, donating €1 from every booking made to help fund project Casal Dels Infants. The project works closely with single mothers and children under 3 years old, helping them to overcome a disadvantaged start in life. AB Apartment Barcelona has helped raise €19,396 for the project. Founded over three decades ago, The Casal dels Infants provides help to families and children with socioeconomic disadvantages. Their Solidarity Check In scheme has been running for six years, and as of today has helped over 2700 single mothers and children, by providing them with assistance through various educational, employment, and training programs. They aim to ensure that every family, regardless of their social background, has access to the same opportunities in life. Recent studies estimate that 1 in 4 Spanish children live in poverty. In face of this frightening statistic, Apartment Barcelona wants to play their part in the fight against child poverty by working alongside 53 other apartment and rental companies also involved in this scheme. "We are delighted to participate in an initiative as necessary as Solidarity Check In and we’d like to congratulate its project managers. In addition to responding to an urgent demand for financial support, we hope this project will also serve to promote the excellent work of the Casal dels Infants to visitors to Barcelona, and further strengthen the bond between the tourism sector and the citizens’ organizations of the city,” explains Sandra Roig, Marketing Manager at Apartment Barcelona. Currently, the Casal dels Infants has volunteers working in the Raval district of Barcelona, aswell as the towns of Sant Adrià de Besós, Santa Coloma de Gramenet, Badalona, Salt and Tánger (Morocco). Apartment Barcelona would like to thank its clients and visitors to the city for their collaboration, as through their apartment reservations this summer; they are enabling this project to become a reality. The leading apartment rental agency has redesigned the site to optimize the user experience. Barcelona, February, 2017 – AB Apartment Barcelona, an apartment rental agency providing holiday accommodation, long-term rentals and properties for sale, has announced the launch of a better, faster and more visual version of its mobile website: https://m.apartmentbarcelona.com. With the original launch of the mobile website back in 2013, the company was one of the first apartment agencies in Barcelona to create a site dedicated to mobile users, allowing customers to search and reserve their accommodation in Barcelona anytime, anywhere. The release of the updated version of the site sees a more visual design, including four clear business units: short-term rentals, monthly rentals, long-term rentals and apartments for sale, making it easier for the user to find the service they need. 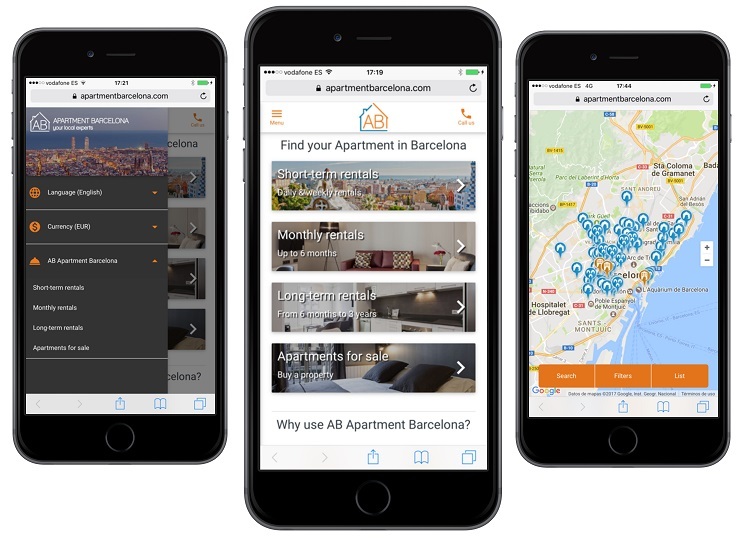 Available in nine different languages, the AB mobile website provides clients with all the information necessary to reserve their accommodation in Barcelona, and the high-speed functionality and quick page-loading time allows them to find and book an apartment in less than two minutes. Users also have access to a range of features currently available on the desktop site such as a search bar, search filters and guest reviews, but on the new mobile site there is also the option of checking availability or contacting the company at the touch of a button. Every aspect of the mobile site is optimized to enhance the user’s experience when browsing content on a small screen. Images have been resized, their quality improved, more filters have been added, and buttons made larger. It is now easier to view each apartment’s characteristics and location on a map when navigating the site by mobile phone. The efficient new mobile website also boasts highlighted seasonal offers and discounts. Since 85% of global travellers are also Smartphone users (source: 4hoteliers), AB Apartment Barcelona saw the need to revamp their site and make it easier and faster to use. With this in mind, AB Apartment Barcelona’s new mobile design will provide the base for reservations made across several platforms. AB Apartment Barcelona customers can visit the mobile website now at https://m.apartmentbarcelona.com. The company has been working with various programs throughout the year, helping families at risk of social exclusion, and providing aid for refugees. Barcelona, December 15, 2015 Apartment Barcelona, one of the leading holiday rental companies in Barcelona, has this year been working with companies such as Apartur (the association of holiday apartment management companies in Barcelona) and leading charity UNHCR, to raise money for causes such as child poverty in Barcelona and emergency care for refugees across the world. 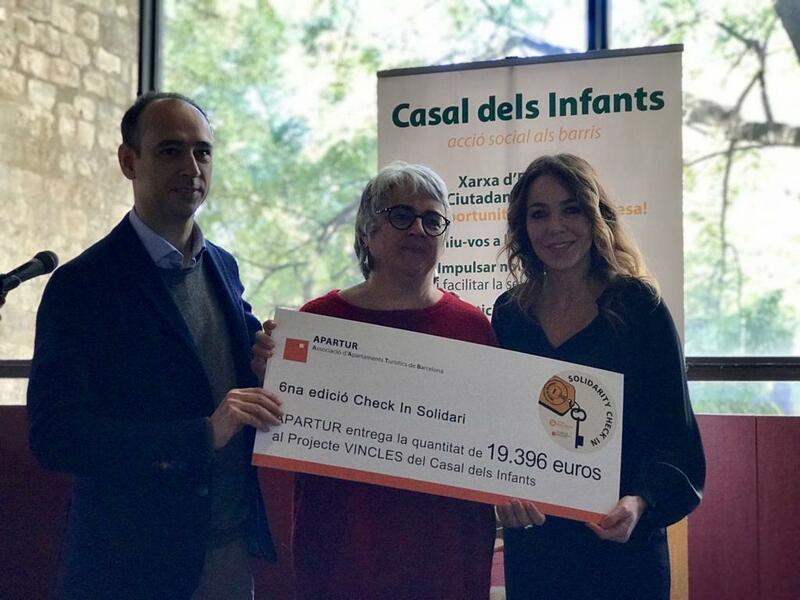 Over the course of the year, the agency participated in such projects as ‘Check In Solidario’, set up by Apartur, alongside the Casal dels Infants to provide support to mothers and infants from 0 to 3 years old who are at risk of social exclusion in the Barcelona neighbourhoods of El Raval, Badalona, Salt and Santa Coloma de Gramenet. Apartment Barcelona donated one Euro for every reservation made between June and September 2015, in the third edition of the Check In Solidario program. The project raised a total of 16,170€ between all participating companies this year. “This is an excellent initiative and we are honoured to have been able to take part for a third year, says David Aguilar, Director of Apartment Barcelona. “We are incredibly grateful to our clients who contribute through their reservations, and also to the volunteers and employees at the Casal dels Infants for their vital work”. Apartment Barcelona has also been working with the Office of the United Nations High Commissioner for Refugees, donating 100 Euro a month to the Spanish branch of the charity, ACNUR, as well as providing sporadic donations for causes such as the earthquake appeal in Nepal. The monthly donations provided by the company went primarily towards the UNHCR’s emergency response program, in order to provide aid to both internally and externally displaced civilians when a sudden eruption of fighting in a particular area breaks out. These areas of conflict include Syria, as Iraq, Ukraine and South Sudan. The apartment agency also contributed to the UNHCR’s Nepal earthquake appeal. The earthquake struck on April 25 this year. Between the initial quake and its subsequent aftershocks over 9,000 people were killed and more than 2.8 million others affected, with many left injured and homeless. Donations given went towards emergency care to civilians, specifically plastic sheets and solar lamps. “The work of both the Casal dels Infants and ACNUR is extremely important and we are glad to help both causes in any way we can,” explains Sandra Roig, Marketing Manager of Apartment Barcelona. The Office of the United Nations High Commissioner for Refugees has been coordinating aid for the forcibly displaced for over 60 years and around 97% of the agency’s workers are volunteers. Today, a staff of around 8,600 people in more than 125 countries continues to help over 33.9 million persons. Barcelona, March 09 2015 - Apartment Barcelona, one of the leading companies for short and long-term rentals and apartments for sale in Barcelona, has recently opened a new building of serviced apartments, complete with a team of knowledgeable concierges available 24/7. The apartments are located at the agency’s new head office in the Casa Saltor building on Gran Via de les Corts Catalanes in central Barcelona. The company has combined two offices in one, bringing together the previous head office on Carrer de París in Eixample with the office on Carrer d’Atlántida in Barceloneta at one brand-new locale. The building itself was fully renovated from the ground up in 2014. The new apartments within come complete with designer fittings and furnishings, state-of-the-art appliances, and many have large terraces. Apartment Barcelona’s headquarters can now be found on the ground floor of the Casa Saltor building, and along with it, a team of multilingual tourism professionals offering 24 hour assistance, 365 days a year, to guests staying in the Casa Saltor apartments, as well as those staying in the other apartments managed by the agency, which are located city-wide. The company is the first rental agency specialising in holiday apartments in Barcelona to provide a round-the-clock concierge team appointed to look after clients’ needs, give advice on things to do in Barcelona, and organise anything they may wish for, from football tickets to taxis, restaurant reservations to museum entry, with the aim of making their stay in Barcelona the most comfortable and enjoyable possible. Customer care can be provided in eight different languages, with the website available in English, Spanish, French, German, Italian, Dutch, Russian and Chinese. Apartment Barcelona is committed to giving clients an all-round Barcelona experience. The company offers guests a comprehensive trip planning system on its website, from transfers and car rentals to tips on what to see and do in the city and discounts on many Barcelona experiences such as bike tours and entry to museums. Furthermore, each month the company gives away over 500 Euro worth of gifts to guests in a prize draw, including sailing trips along the coastline, restaurant vouchers, tickets to concerts and much more. 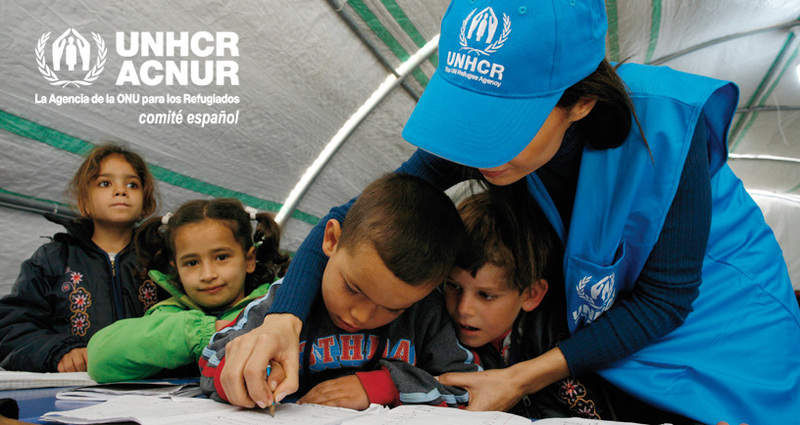 Barcelona, January 03 2015 – Apartment Barcelona, the leading holiday apartment rental company in Barcelona, has joined a new campaign by the UN Refugee Agency (UNHCR) to provide assistance to the forcibly displaced. Apartment Barcelona will donate one hundred Euros each month to the Spanish branch of the agency, ACNUR. The Office of the United Nations High Commissioner for Refugees has been coordinating aid for the forcibly displaced for over 60 years. In that time, the agency has helped tens of millions of people restart their lives. Today, a staff of around 8,600 people in more than 125 countries continues to help over 33.9 million persons. he donation provided by Apartment Barcelona will go primarily towards the agency’s emergency response program. UNHCR is often called to mobilise hundreds of staff within very little time in order to provide aid to fleeing civilians when a sudden eruption of fighting in a particular area breaks out. The aid must be provided without delay, and to do this UNHCR is calling for funding of its emergency staff. “We are very proud to contribute to this cause,” explains David Aguilar, Managing Director of Apartment Barcelona. “The work of UNHCR is vital to providing aid to those who face desperation and danger every day as they, through no fault of their own, have been forced out of their homes and onto the streets. We are glad to help in any way we can”. UNHCR offers protection, assistance and emergency aid to refugees and asylum seekers across the world. The agency provides survival kits, food, shelter, education, and much more to the uprooted and stateless. Of those, 46% are children and 25% require special assistance, including the elderly, ill and newborn babies. One of the main areas of conflict today is Syria. Over three million refugees from this warzone have fled to neighbouring countries: the largest humanitarian emergency since World War II. With the help of Apartment Barcelona’s donation, UNHCR will provide aid to both internally and externally displaced civilians, as well as those in other zones of conflict such as Iraq, Ukraine and South Sudan. Around 97% of the agency’s workers are volunteers. UNHCR’s ability to provide emergency assistance is vital to those who look to it for support during times of crisis. The donations raised in this project will go towards providing life-saving emergency assistance such as clean water, sanitation and health care. Relief items, including blankets, sleeping mats, household goods and sometimes food are also provided. Barcelona, September 18 2014 - Apartment Barcelona, the city’s leading company for short and long-term rentals and apartments for sale, has incorporated Dutch into the list of languages offered on its website. The new version comes just three months after the launch of the website in Mandarin Chinese in June 2014. The site is now available in a total of eight languages: English, Spanish, French, Italian, German, Russian, Chinese and Dutch. According to data released by Turisme de Barcelona, the Netherlands is the eighth largest tourism source market in the city. In order to offer these visitors the best service, Apartment Barcelona has manually translated its entire website into Dutch. The company’s objective is to provide both visitors looking to rent a holiday apartment in Barcelona, and investors and families planning to buy property in the city, with the maximum facilities to allow them to find the property that best suits their needs. 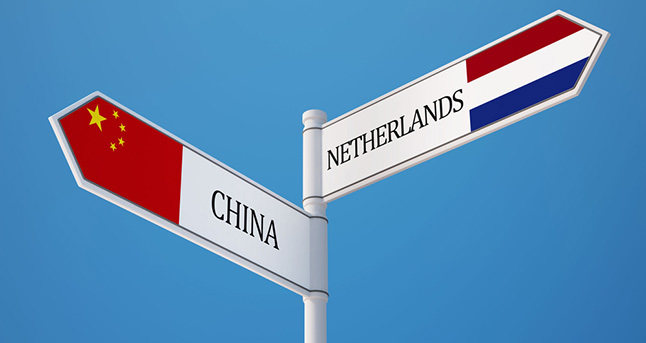 “Since Apartment Barcelona first went online, the Netherlands has been one of the main countries of origin of our clients. Many Dutch tourists, especially families, opt to rent an apartment for their visit to Barcelona as it provides a comfortable accommodation alternative, and it allows them to save money on dining out”, explains David Aguilar, Managing Director of Apartment Barcelona. True to its commitment to innovation and continual improvement, Apartment Barcelona has steadily increased the languages in which its website is available. Each language of the site has been manually translated by native speakers in order to guarantee the best quality of information and to facilitate client requests. Furthermore, the company released the mobile version of its website at the end of 2013, allowing clients to be able to find and reserve their accommodation in Barcelona anytime, anywhere. Barcelona, June 17th 2014 - Apartment Barcelona, the city’s leading company for short and long-term rentals and apartments for sale, has launched the new version of its website in Mandarin Chinese (www.apartmentbarcelona.com/zh/). The company aims to offer the best service available to Barcelona’s growing number of visitors from China, a country which is currently the world’s largest tourism source market. Apartment Barcelona has also adapted its website to appeal to a higher real estate demand from Chinese property investors. The new Chinese version joins the six languages in which the Apartment Barcelona site is currently available: English, French, Spanish, German, Italian and Russian. The company will also offer customer service in Chinese for both holiday reservations and property sales. According to recent official data, more than 50,000 Chinese tourists visited Spain in the last trimester of 2014, which is 24.7% more than the same period last year. The average stay of visitors was seven nights and the amount spent per person totalled 2,080 Euro, almost double the typical average for a tourist in Spain. “We want to be prepared for a tourist profile which will be seen more and more frequently in Barcelona, and we aim to do this through the new version of the website in Chinese,” states Sandra Roig, Marketing Manager of Apartment Barcelona. “Our city is the ideal destination for Chinese visitors as it offers a wide range of shopping and cultural tourism. All companies in the industry need to be ready to adapt to this new market”. True to its commitment to innovation and continual improvement, Apartment Barcelona has steadily increased the language options in which its website is available. Each version is manually translated by native speakers in order to guarantee the best quality of information and to facilitate client requests. Following the launch of the website in Chinese, Apartment Barcelona is now working on a translation of the website in other languages. Barcelona, June 17th 2014 – Apartment Barcelona, the leading company in touristic rentals and apartment sales in Barcelona, has joined the new edition of the ‘Checking Solidario’ campaign to fight against child poverty. The company will donate one Euro to the Casal dels Infants centre for the support of disadvantaged children for each reservation made from the beginning of June until September 15, 2014. The Checking Solidario scheme was created last year by Apartur, the association of holiday apartment management companies in Barcelona. In the first edition, the participating companies raised 7,418 Euro, which went to the ‘Vincles del Casal dels Infants’ project. This project supports mothers and infants from 0 to 3 years old who are at risk of social exclusion in the Barcelona neighbourhoods of El Raval, Santa Coloma de Gramenet, Badalona and Salt. “We are very proud to continue taking part in this excellent initiative and to be able to contribute in the fight against child poverty,” explains David Aguilar, director of Apartment Barcelona. “We are extremely grateful to the campaign promoters for their hard work, the tourists who contribute greatly to the campaign through their reservations, and above all, the volunteers and employees at the Casal dels Infants for their wonderful work”. The Casal dels Infants is a non-profit organisation which was created 30 years ago in the Raval neighbourhood in order to help children, young people and families from vulnerable socioeconomic backgrounds. Through various educational, training and employment programs, as well as providing a space for general support, the organisation works to ensure that every family has access to equal opportunities, regardless of their background. The Casal dels Infants has more than 1200 volunteers who support programs in the fight against social exclusion in the Raval neighbourhood of Barcelona, and in the towns of Sant Adrià del Besós, Santa Coloma de Gramenet, Badalona and Salt. The organisation also collaborates with international projects in Tangier and Casablanca (Morocco). Barcelona, April 30th 2014 - Apartment Barcelona, a leading apartment rental company for both short and long-term stays in Barcelona, has recently acquired DesigBarcelona.com, a holiday accommodation website. The purchase includes Desig’s real estate portfolio, which consists of 250 properties in the Catalan capital and surrounding areas. Apartment Barcelona will maintain and develop the Desig Barcelona website, which is available in six languages. The company will also incorporate the portfolio of properties advertised on DesigBarcelona.com into its own websites: ApartmentBarcelona.com, CometoBarcelona.com and KeyApartments.com. The purchase of Desig Barcelona forms part of the growth and diversification of Apartment Barcelona. The company currently offers a variety of services from holiday accommodation and long-term rentals to real estate sales, with a client base which includes not only local residents but also visitors to the city looking to invest in property. Moreover, in 2013 Apartment Barcelona acquired Barcelona Connect, a free monthly magazine published in English. The magazine aims to provide visitors to Barcelona with an innovative and varied tourist guide including current news, maps, up-coming events and recommendations on the best restaurants, bars and activities in the city. Barcelona Connect prints 10,000 copies each month. The magazines are distributed throughout the city at various strategic touristic locations. “As well as offering the largest portfolio of holiday rental properties on the market, we distinguish ourselves by offering our clients and partners exciting synergies between our different lines of business in order to offer a broad, comprehensive and high quality service,” explains Sandra Roig, Marketing Director at Apartment Barcelona. The Apartment Barcelona team will manage the Desig Barcelona website, expanding its sales channels and services through the group’s own sites and affiliations. What’s more, Apartment Barcelona has acquired the properties which Desig Barcelona managed exclusively. Apartment Barcelona will also control the Desig Barcelona blog and the company’s social media platforms which currently have thousands of followers from around the world, thereby continuing to communicate to clients the best tips and advice for those visiting the Catalan capital, and promoting Barcelona as one of the world’s top holiday destinations. Barcelona, December 18, 2013 – Apartment Barcelona, one of the most popular apartment rental agencies for visitors to the Catalan capital, has today announced the launch of a new mobile version of its website: m.apartmentbarcelona.com. The site is accessible from any web-enabled phone, allowing customers to search and reserve their accommodation in Barcelona anytime, anywhere. The mobile website provides guests with all of the information necessary to reserve an apartment in or around Barcelona quickly and easily. Users will have access to a range of features that are also available on the desktop site such as the search bar, apartment categories, search filters and guest reviews, but on the new mobile site they will be able to check availability or contact the company at the touch of a button. Every aspect of the mobile site is optimized to enhance the user’s experience when browsing content on the small screen of a mobile phone. Images have been resized, buttons made larger and it is now easier to view each apartment’s characteristics when navigating the site by mobile phone. The company also has plans to implement more new elements to the mobile website in the future, to further improve usability from smartphones and provide an even better service for users looking to reserve accommodation on the move. A geo-localisation feature will give customers the opportunity to find an apartment close to where they are, an aspect of the mobile website which would be particularly useful for those heading to the city on business trips. Apartment Barcelona customers can visit the mobile website now at m.apartmentbarcelona.com. Barcelona, November 28, 2013 – Following on from the success of last year’s winter season deals, leading online apartment rental agency, Apartment Barcelona, is offering clients the chance to combine a city break with the slopes as they spend three nights in Barcelona before heading to the popular Catalan Pyrenees ski resort, La Molina, for a further four nights. Prices start at just 36 Euro per person, per night for the 2013/2014 season, with a free ski pass included, allowing guests to enjoy an overall discount of up to 20%. The packages include accommodation at one of Apartment Barcelona’s fully equipped ski apartments, situated right at the foot of the slopes. The apartments, which can sleep up to nine people, are also available to rent on a nightly basis for those intending to skip Barcelona and go straight to the ski resort. 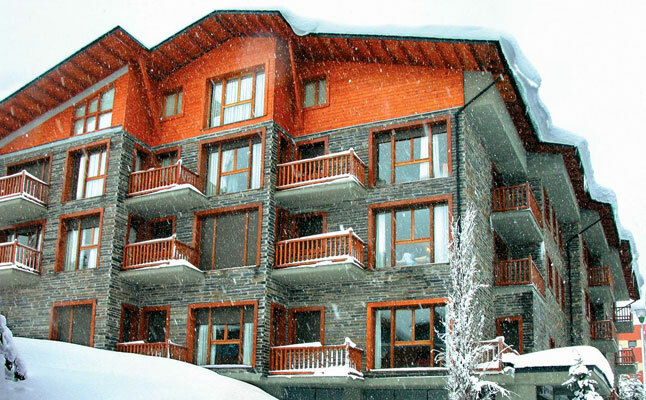 Holiday packages are available for groups of between two and eight people, and in addition to free passes to La Molina’s ski lifts for the duration of the apartment rental, Apartment Barcelona also offers extra services for skiers or snowboarders, including equipment rental, storage and lessons on the snow. In addition, holidaymakers have the option to create their own ski packages, allowing them to choose the number of nights they wish to stay in each destination for a special price, or increase the number of guests. Since the Catalan Pyrenees are easily reachable from Barcelona’s El Prat Airport, holiday packages are popular with those travelling to top ski destinations such as La Molina in Girona. What’s more, as some of the best slopes in the Catalan Pyrenees are situated just two hours north of Barcelona by car, many visitors to Catalonia during the snow season choose to enjoy some sightseeing in Barcelona before heading to their ski resort of choice. Apartment Barcelona offers guests the opportunity to enjoy their winter breaks at the well-known ski destination, La Molina. With a total of 52 runs (16 green, 29 blue, 29 red and 12 black) and a skiable area of 61km, La Molina is a resort for all winter sports fans, whether beginners or advanced. Other activities available at La Molina include snowshoeing, sledding and snowmobiles. Barcelona, July 4, 2013 - Apartment Barcelona, a leading short and long-term apartment rental company based in Barcelona, has recently signed up to be part of the new “Checking Solidario” project initiated by Apartur, an association for tourist management companies in Barcelona, in order to support the Casal dels Infants in its fight against child poverty. 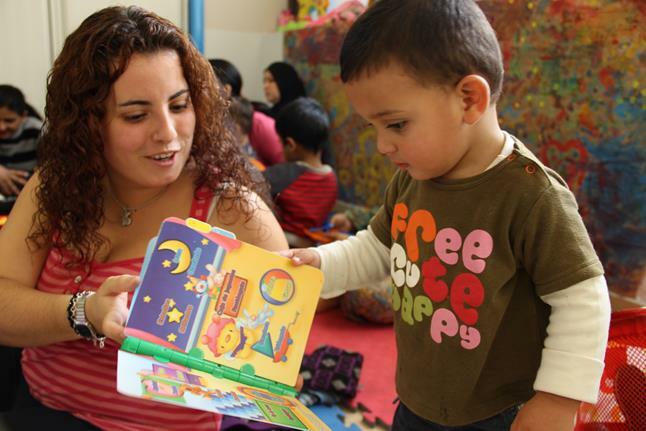 Apartment Barcelona will contribute one Euro for every reservation they receive during the months of June, July and August 2013 to the program which provides aid to mothers with babies from 0-3 years old that are seen to be at risk of social exclusion. The economic crisis that is currently affecting Spain has caused a significant increase in the demand for assistance to associations fighting poverty such as the Casal dels Infants. Recent statistics indicate that one in four Spanish children lives in poverty. 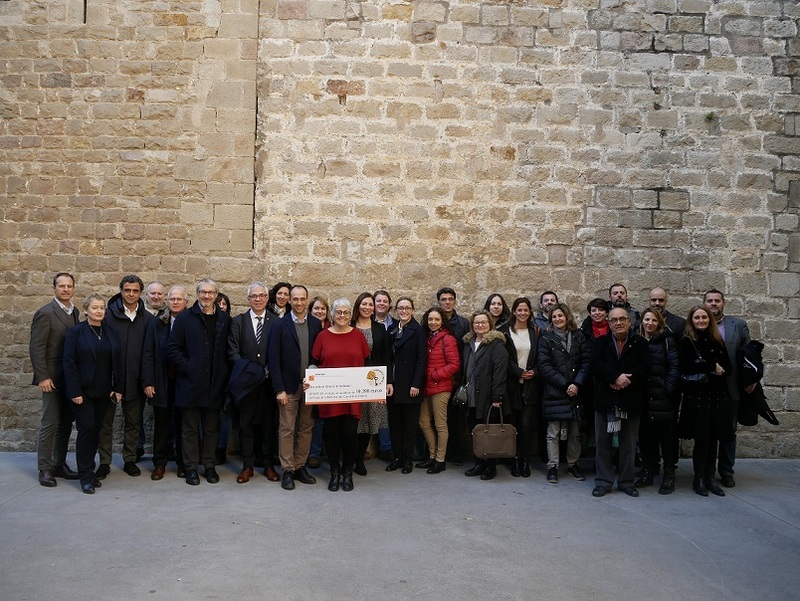 In the face of this alarming situation, Apartment Barcelona is set to do its part in the fight against the social exclusion of disadvantaged children, in collaboration with the Checking Solidarity project and alongside other companies in the sector. "We are delighted to participate in an initiative as necessary as Checking Solidarity and we’d like to congratulate its project managers. In addition to responding to an urgent demand for financial support, we hope this project will also serve to promote the excellent work of the Casal dels Infants to visitors to Barcelona, and further strengthen the bond between the tourism sector and the citizens’ organizations of the city,” explains Sandra Roig, Marketing Manager Apartment Barcelona. Apartment Barcelona would also like to thank its clients and visitors to the city for their collaboration, as through their apartment reservations this summer, they are enabling this project to become a reality. The Casal dels Infants is a non-profit organisation founded 30 years ago, and over the years it has provided assistance to more than 6,000 children, young people and families with socioeconomic disadvantages. Through various educational, training and employment programs, as well as a providing a space for general support, the association works to ensure that every family has access to the same opportunities, regardless of social background. Currently, the Casal dels Infants has more than 800 volunteers fighting against the cycle of poverty in the Raval district of Barcelona, as well as the towns of Sant Adrià de Besós, Santa Coloma de Gramenet, Badalona, Salt and Tánger (Morocco). Barcelona, June 25th, 2013 - Apartment Barcelona, a leading short and long-term apartment rental company based in Barcelona, is offering up to 40% discount on the total price of apartments with late bookings this summer. These last minute deals, with discounts ranging from 5% to 40%, apply to reservations made by clients within 30 days of their arrival in the Catalan capital, subject to availability. These offers are easy to find on Apartment Barcelona's newly renovated website when searching for apartments available for summer breaks. The discounts apply to many beach apartments in Barcelona – with prices starting from 22 Euro per person, per night – as well as inner city apartments in the neighbourhoods of Eixample and Ciutat Vella, which are also popular areas for summer stays. "The objective of these summer discounts is to offer clients the best selection of apartments for rent in Barcelona in terms of both price and quality," explains Sandra Roig, Director of Marketing at Apartment Barcelona. 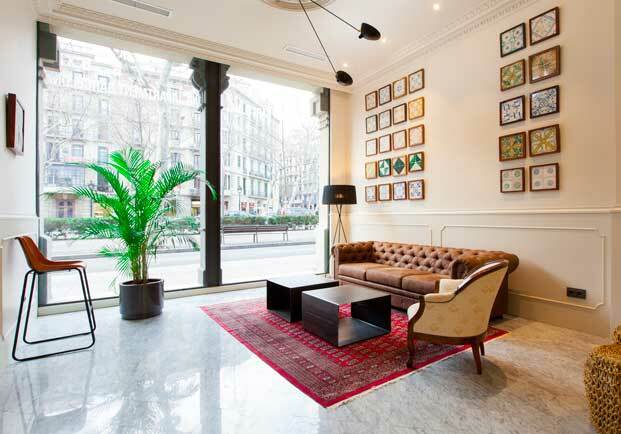 Apartment Barcelona recently renovated its website in May 2013. With an improved layout and design, as well as easier and more powerful functionality, the company aims to fully optimise the usability of the site. These new changes and ease of use can be seen when searching for a last minute apartment in Barcelona. By going to www.apartmentbarcelona.com and entering the dates of the stay and the number of guests in total looking to visit Barcelona, the user will be immediately shown an extensive list of all available apartments, complete with a run-down of amenities, locations and total prices, including any discounts. To fine-tune user preferences, search results can be filtered by categories such as location, amenities, and price. In a matter of clicks, the user is able to quickly and easily access a comprehensive overview of the large variety of apartments with last minute discounts that Apartment Barcelona has to offer this summer. With a portfolio of over 1,000 apartments, Apartment Barcelona is well known for its wide range of holiday rental properties, including those by the beach in Barcelona, where the company has over 250 apartments, 60 of which overlook the Mediterranean Sea. "We have a wide range of apartments in the popular coastal areas of Barcelona, such as Barceloneta, the Olympic Village, and the Diagonal Mar areas," says Sandra Roig, Director of Marketing at Apartment Barcelona. From luxury apartments with large terraces and swimming pools to budget apartments located just steps from the beach, Apartment Barcelona’s growing portfolio of rentals reflects the company’s ongoing efforts to match each client with an apartment that is ideally suited for them. According to recent statistics from the Spanish Ministry of Development, in the last year the sale of properties in Catalonia to foreigners has increased by 22%. Records show that most are opting for a second home on the Catalan coast, especially in the city of Barcelona and the Maresme areas, as well as the Costa Brava and the Costa Dorada. Apartment Barcelona, a leading short and long-stay rental company based in Barcelona, is now offering a wide range of apartments for sale in Barcelona to meet this growing industry trend. The Tripadvisor-recommended agency is increasing its number of properties for sale, both in the city of Barcelona and in other areas of interest to foreigners such as the Costa Brava, the Costa Dorada, Sitges and the Catalan Pyrenees. While Britons are still the leading property buyers in Spain, the Russian market has seen the largest increase in the purchase of property in Catalonia, accounting for 8% of the total real estate sales in the region last year. A new trend has also been detected in the Russian buyer profile. Previously, purchasing a second home was reserved for affluent investors. Now, more and more Russian families are attracted by the competitive pricing of properties along the Mediterranean coast. In Catalonia, more homes are purchased in the south of the Costa Brava due to its proximity to the city of Barcelona. Moreover, demand for property in Catalonia has also risen in the French market, and after the recent bursting of the property bubble, French citizens have been drawn by the attractive offers on properties on the Catalan coast. There has also been a change in the French buyer profile. Whereas previously the most common buyers were retired French citizens, now many families, especially with young children, are choosing a second home in Catalonia in which to enjoy the holiday periods. China could become a new source of real estate buyers in Spain, according to several experts. Families and investors alike are said to be attracted by the culture, climate, cuisine and the fact that Spain has a large Chinese community. In addition, the Spanish government recently announced that the process of obtaining residency in Spain could be greatly accelerated for those who purchase property with a value of more than 160,000 Euros. While this plan is currently stalled, the possibility of a faster residency application process has proven to be attractive to potential Chinese buyers, who are also taking into account the competitive pricing of properties in Spain in comparison to those of many large cities in China.